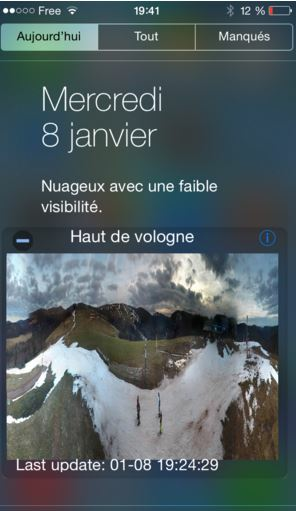 I was looking for a webcam widget in the Notification Center for Apple’s iOS for on my iPhone but that wasn’t easy untill now. 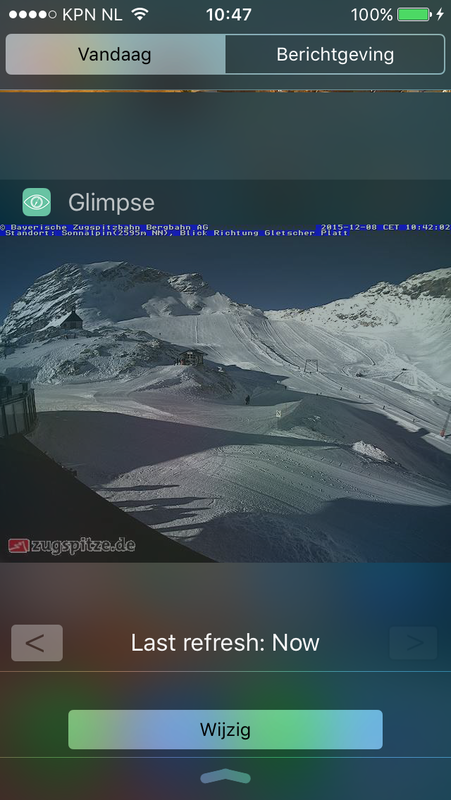 I’ve also mentioned a Google Android alternative. 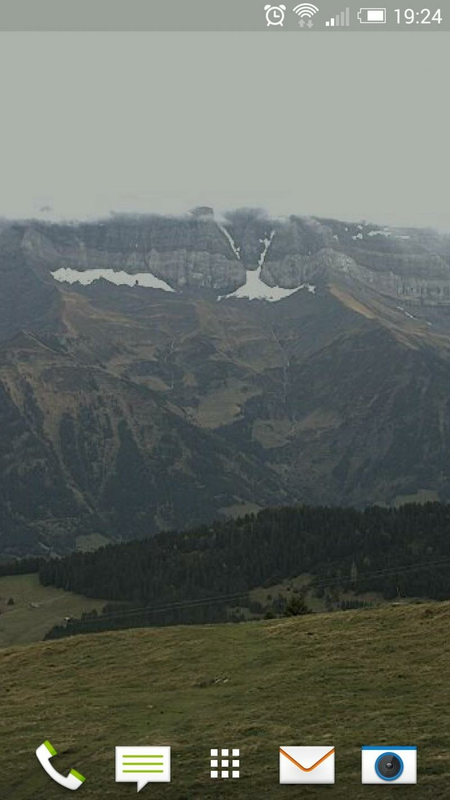 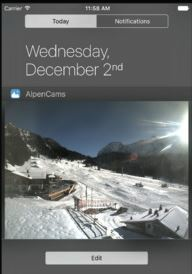 – AlpenCams by Arrow Webprojects / Eric Horstmanshof | 0,99 dollar – still needs some tweaks, and lacks option to add your own webcam(s) but for snow webcams this is best option out there. 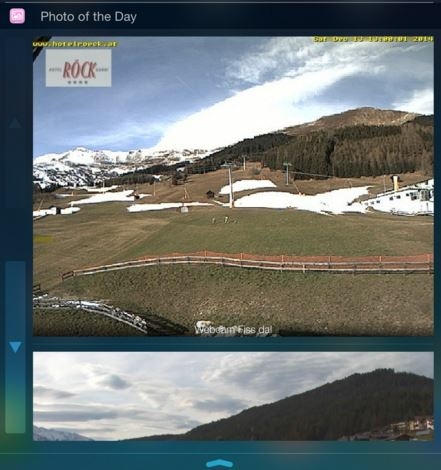 – Photo of the Day by Francis Bonnin | 0,99 dollar – This uses RSS feeds to get a webcam (a bit more difficult), build one here.